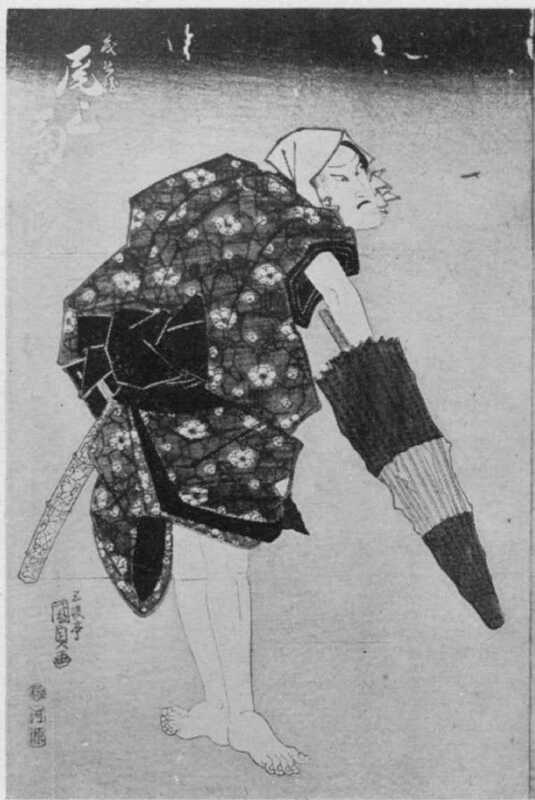 This print is one of the earliest produced by Kunisada and shows the clear influence of his teacher Toyokuni I. 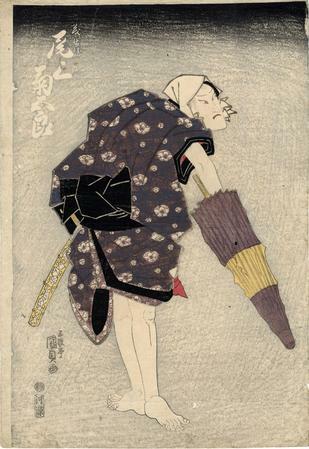 It represents a performance of the play Tsuma Gasane Uwasa no Kikuzuki (褄重噂菊月). 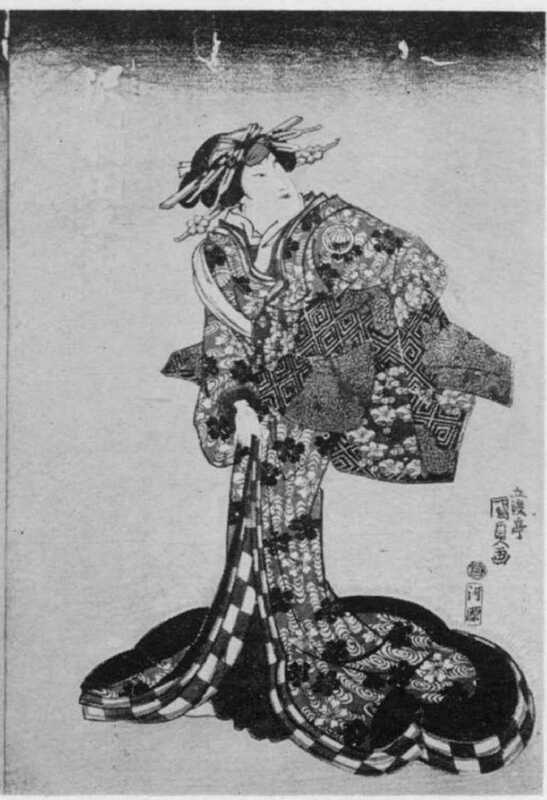 This is the left-hand (左) panel of a diptych.